Lebanese Cooking Videos are here! 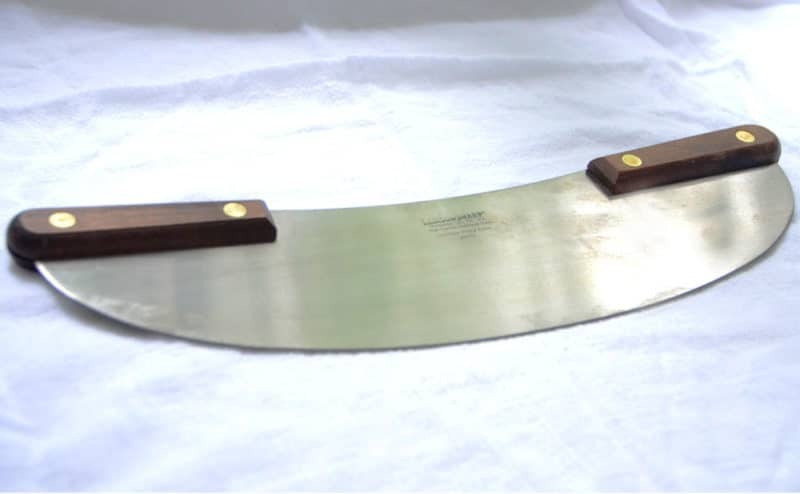 Sure, you can use a very sharp knife. Of course a sharp wheel cutter is classic and works fine too. But I can’t resist this double-handled pizza (or, as I prefer to call it, flatbread…) cutter. 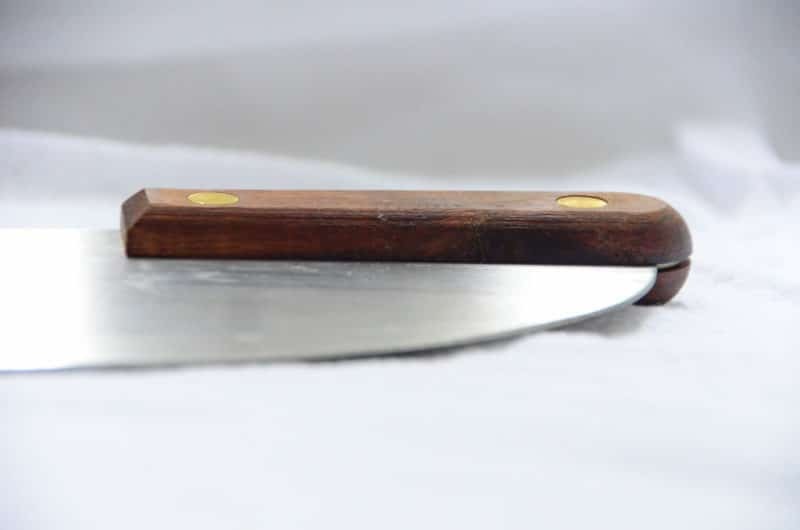 The walnut handles are special, as is the bowed stainless steel cutting edge that, when rocked along the top of a pizza or flatbread, totally rocks. 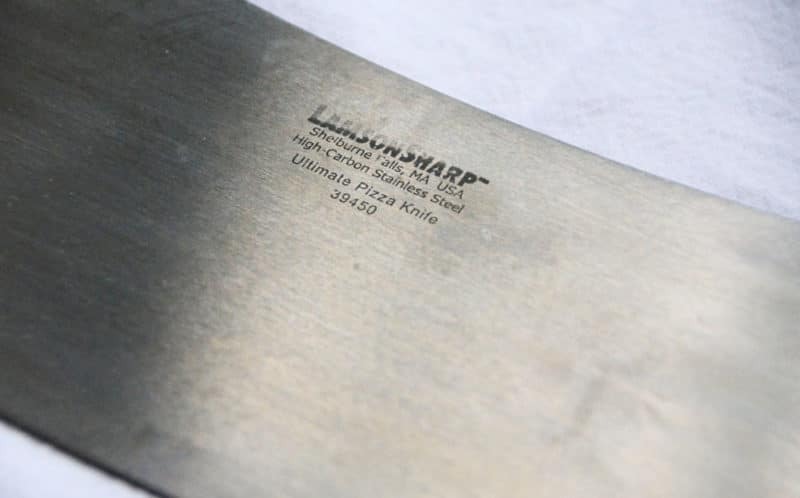 I found this self-proclaimed Ultimate Pizza Knife by Lamson & Goodnow over at Food52’s new Provisions shop for about $36. If Food52 is new to you, have a looksee; I bet you will like. They are a cooking community brought to us by the great Amanda Hesser and Merrill Stubbs. Their motto: How you eat is how you live. And eating well and right means cooking at home often, using useful (often beautiful) tools and ingredients. 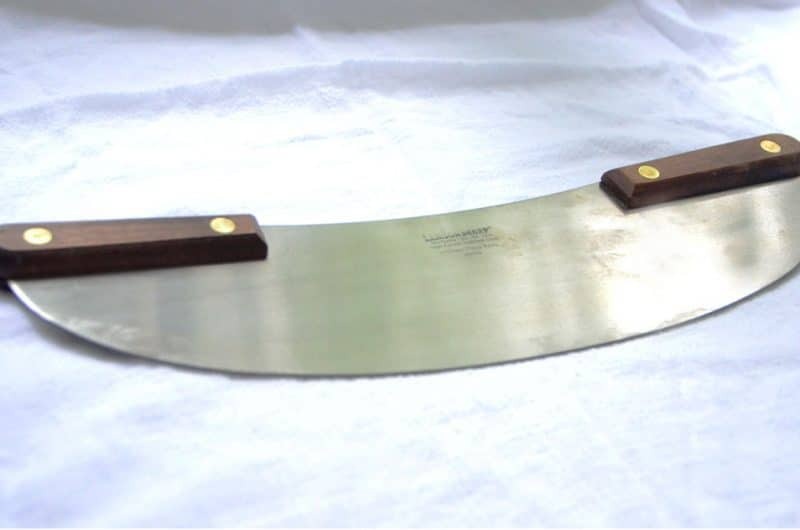 The pizza knife is a perfect example of the Provisions commitment to quality. Lamson & Goodnow is tried and true, as the oldest manufacturer of cutlery in the U.S. (circa 1837). 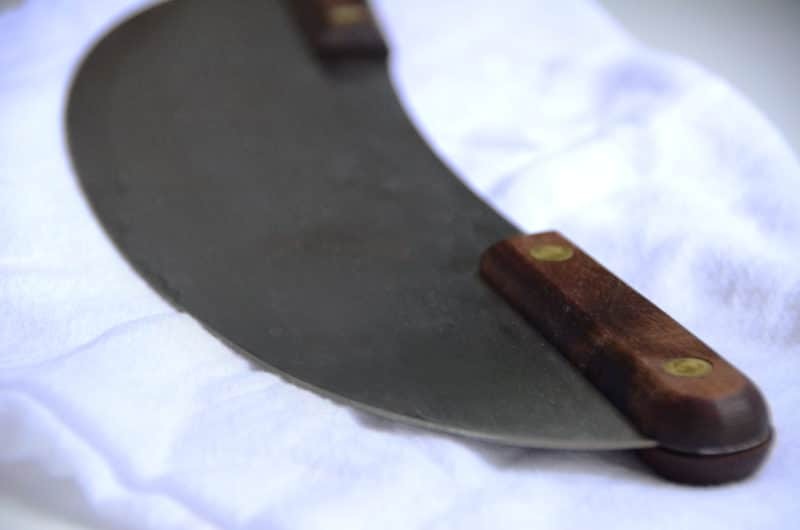 We so often turn to the Germans or the Japanese for our knives, it’s nice to know our own, home grown. One Response to "Favorite Things: The Ultimate Pizza Knife"
I find that a pair of scissors works well. Also for cutting garlic bread once it. Is cooked.